Juno Therapeutics shares soared on Tuesday a day after Celgene a bigger drug developer announced its plans to invest close to $1 billion in the company mostly through purchases of stock as part of a new collaboration to develop autoimmune disease and cancer treatments. Celgene agreed to pay $150 million now and purchase 9.1 million of Juno shares at a price of $93 apiece. The portion of stock totals close to $850 million and the price was close to double the price of Juno stock last Friday that closed at $46.61. The collaboration amongst the two companies initially will focus on June technology, which genetically engineers cells inside the body of patients to recognize and then kill cells that are cancerous, based upon a protein that is on the surface of that cell. Juno is to be responsible for the development and the selling of its products across North America in this agreement. 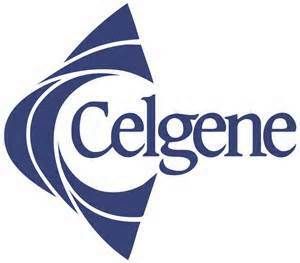 Celgene is to develop and to sell those products across the rest of the globe and pay a royalty for sales from those different areas. Juno will also be able to enter into a co-development and co-commercialization deal on specific products that are developed Celgene. Celgene will also be able to nominate a member of the board at Juno under this deal, which was approved by both companies board of directors. The developers of drugs expect this deal to close sometime during the next quarter. Celgene has been criticized by some as well as lauded by some for the decision to hook up with Juno, but the deal is in the best interest of Celgene. The one thing certain is that the CAR-T technologies are very strong in patients that have blood cancers. Earliest results in very ill patients were remarkable using the T-Cell therapy that virtually eradicated the cancer cells throughout the entire body. With a number of companies in this space, including Bluebird Bio and Kite Pharma, any one of the companies could rise and threaten the Celgene franchise including its new partner Juno Therapeutics.